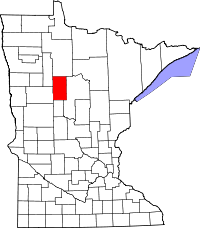 Hubbard County, a county that has seen its population grow about 10 times larger from 2000 to 2010, has the Court Recorder, who is also the Registrar of Vital Statistics, in the courthouse of Park Rapids, MN., on 301 Court Ave. The office, which handles record keeping for all the county, allows individuals to come and research all records that are open to the public, as well as offers copies of records to qualified recipients. Their fee schedule, which lists all the associated fees for obtaining copies of vital records, is provided on their website, as well as all appropriate applications. Land records from 01/02/91 to the present are listed online with Laredo and Tapestry 2.0, two subscription or fee based record-viewing programs. The county also recommends the Hubbard County GenWed Program, a genealogical research program that provides resources and records to the public.